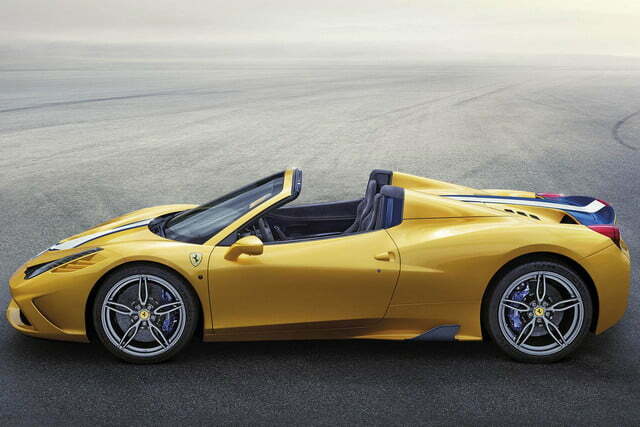 Ferrari unveiled the convertible (also called the Speciale A) this week in anticipation of the upcoming Paris Motor Show. 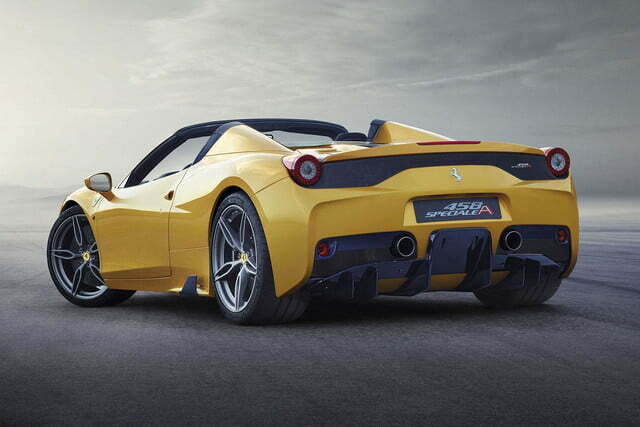 The car isn’t just gorgeous, though; it’s one of the most impressive open-top models Ferrari has ever crafted. 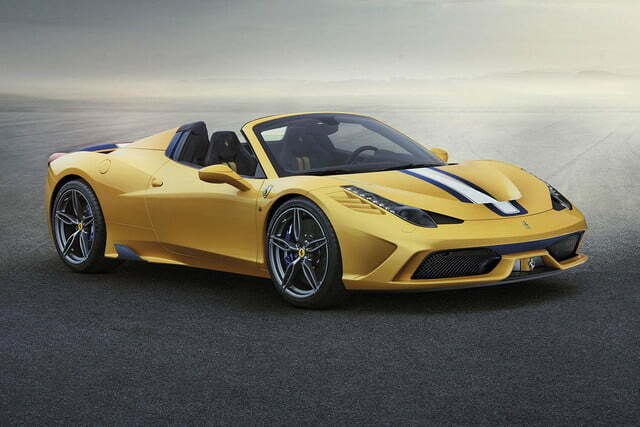 The Speciale churns out 605 prancing ponies from its 4.5-liter V8, 43 horsepower over the standard car and seven more than the Speciale Spider. 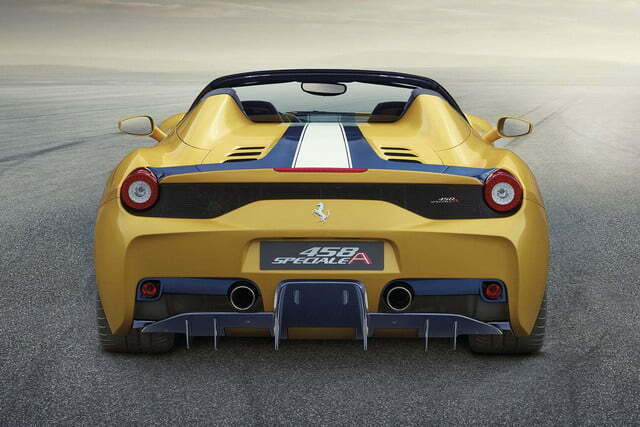 It’s not quite as powerful as, say, the 662-hp 599 SA Aperta, but the Speciale A is nearly 800 pounds lighter. Because of its featherweight status, the 458 dances from 0 to 60 mph in 3 seconds flat and laps Ferrari’s Fiorano test track in 1:23.5. 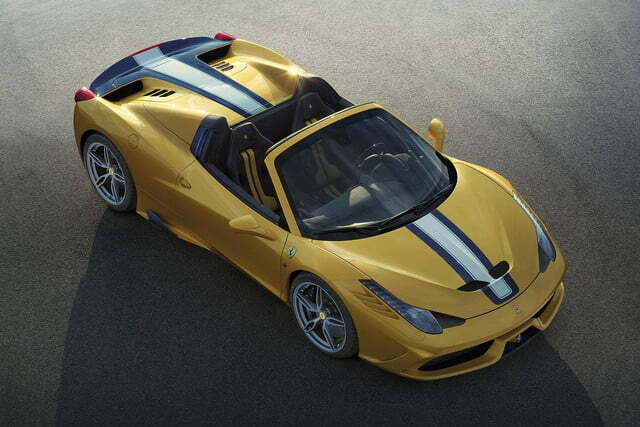 For those keeping score at home, those are the exact same specs as the closed roof 458 Speciale. Obviously, most of the acceleration credit goes to the increased power and decreased weight (the interior is bare bones and the chassis uses 10 lightweight aluminum alloys), but the slipperiness of the Italian deserves mention as well. It just so happens that the Special A is also one of the sexist Ferraris in recent memory. The pronounced venting on the hood and engine cover give the car much more aesthetic character, and the nostril-like bumper apertures are reminiscent of the spectacular F430 Scuderia. 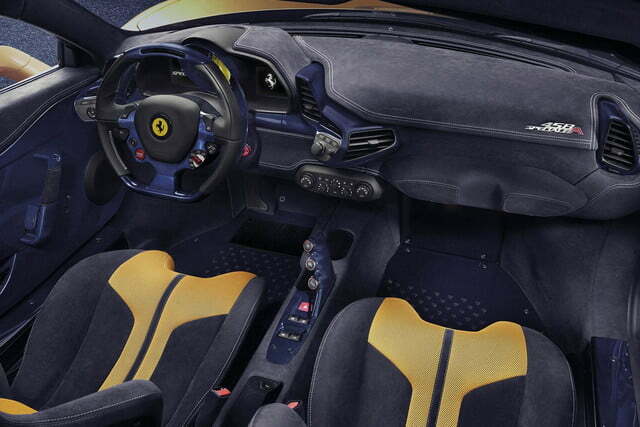 The blue carbon fiber accents on the interior are quite striking as well. 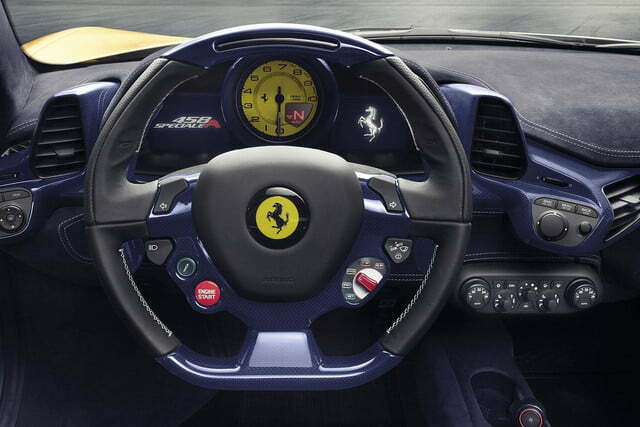 Just 499 examples of the limited-edition Ferrari will be produced. 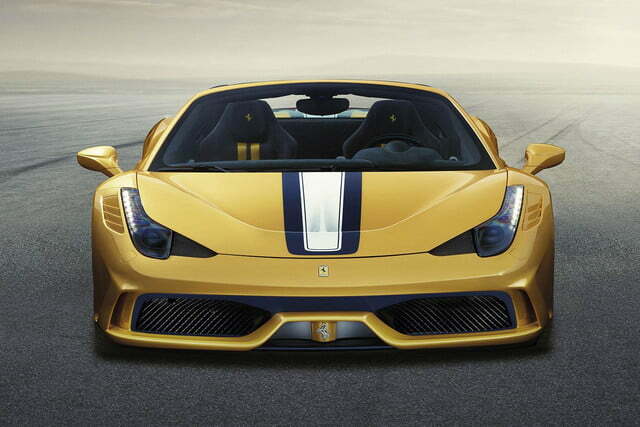 The Speciale A will be in France to kick off the Paris Motor Show, which commences October 4th.